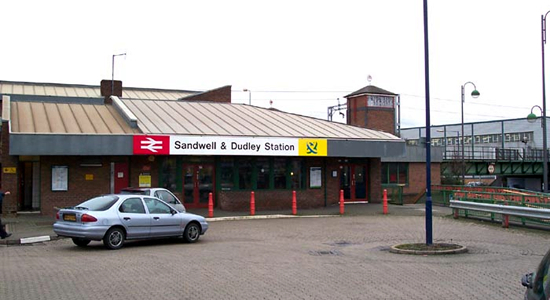 Sandwell and Dudley station opened on the Stour Valley Line of the Birmingham & Shrewsbury Railway (later LNWR) in 1852 as 'Oldbury Station' lying on a busy route between the newly-opened New Street and Wolverhampton High Level stations. 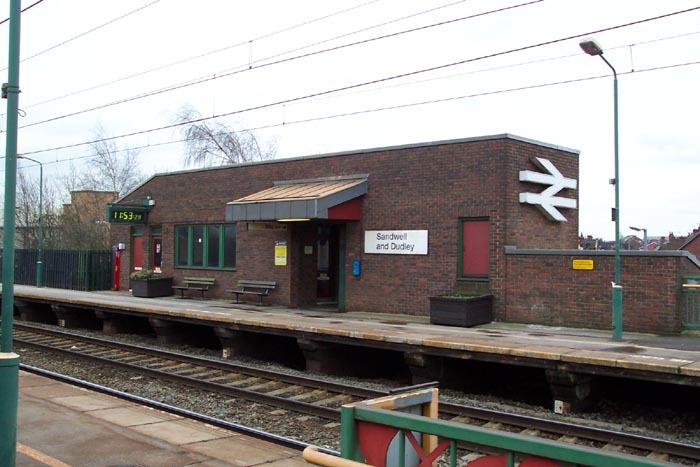 During the 1960s a number of stations on this line closed, including the stations either side of Oldbury in Spon Lane and Albion, but Oldbury weathered the storm and in 1984 was renamed Sandwell & Dudley Station (initially 'Parkway' was added too). 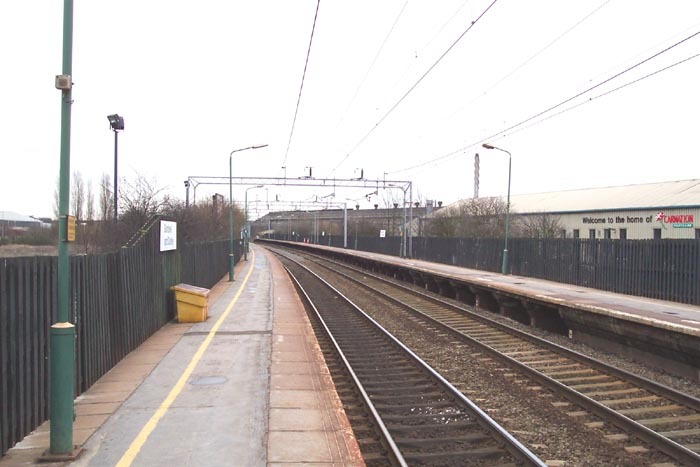 Along with the rename came somewhat of a change in role and status: the original wooden platform buildings were demolished and the wooden platforms were removed and replaced with double-length concrete ones in order to take not only the existing local EMUs but also the main line/Inter-City trains that were now to stop here. 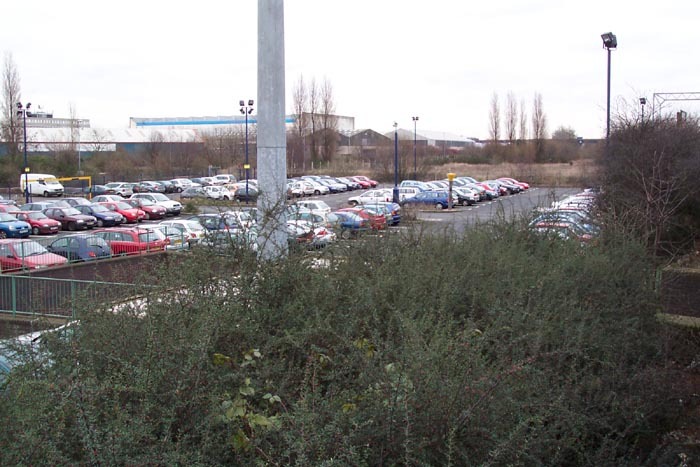 Above we see the significant entrance building in the Park and Ride car park off Bromford Road. 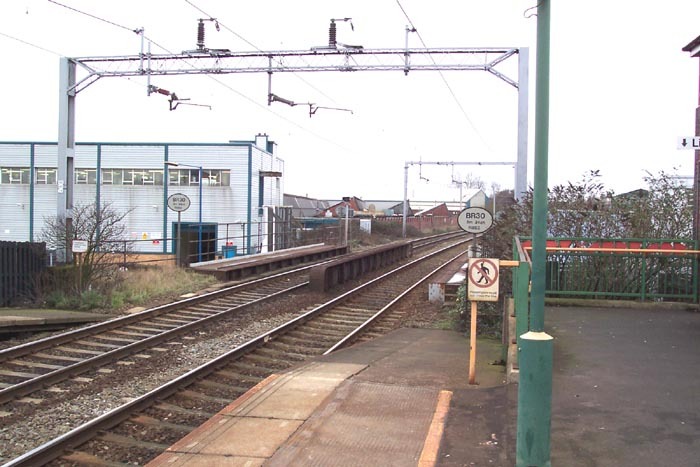 Above-left we have gone through the entrance building and up the stairs to the Birmingham platform and are loking in the direction of Wolverhampton and can clearly see the girders which support the bridge over Bromford Road in the foreground. above-right we are still on the Birmingham platform but have turned around to look towards Birmingham - this photo gives a good impression of the sheer length of the platforms here, which does appear as a bit of a shock when visiting a 'local' station, that were built to acommodate main line trains. Above-left we are again on the Birmingham platform but looking across at the waiting room facilities provided on the Wolverhampton platform. 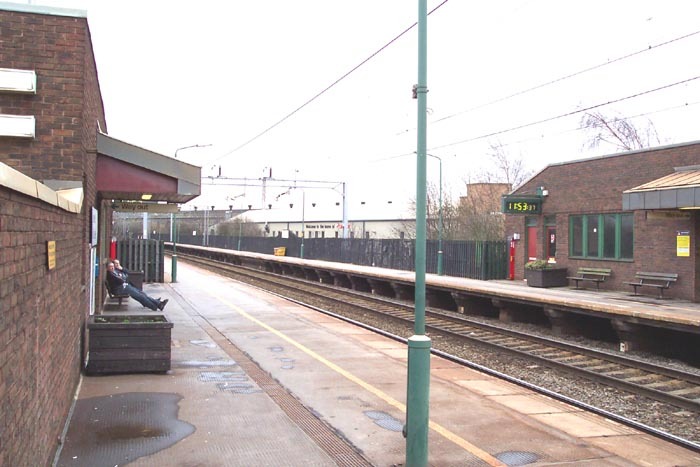 Although the waiting rooms here are significantly more comfortable than on those provided on the purely 'local' stations (indicating what the railway in general think of their bread and butter local fare passengers), the brick used provides for a rather gloomy, drab look to the whole station. Above-right we are looking again at the Wolverhampton platform waiting room from the Birmingham platform. Above-left we are looking along the length of the station from the Wolverhampton end of the Birmingham platform. 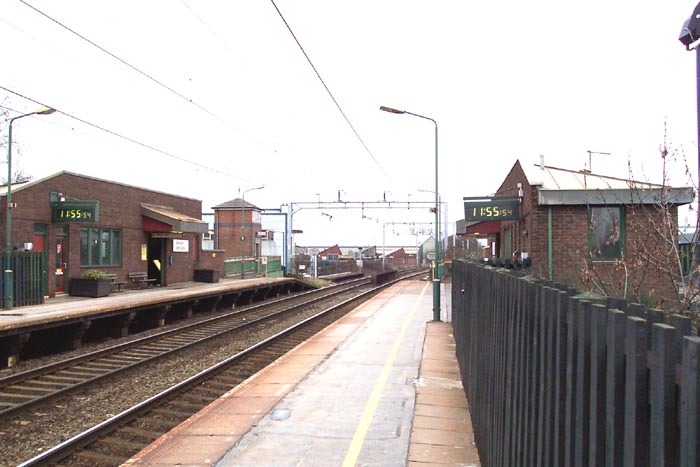 It is good to see a station the has been retained and had some money spent on it however, as with most revived stations, I have a hankering for the appearance of the original wooden station with extended canopies (which, in any case were removed during the electrification program during 1966/1967 on this line). Above-right we are looking down at the car parking area of the station from the Birmingham platform. This area was once occuppied by an Iron works and sidings (some of which led to what is now Bomford Park Industrial Estate) and beyond that to the right by Bromford Colliery.